Sunglasses: ASOS. Necklace: Ily Couture. 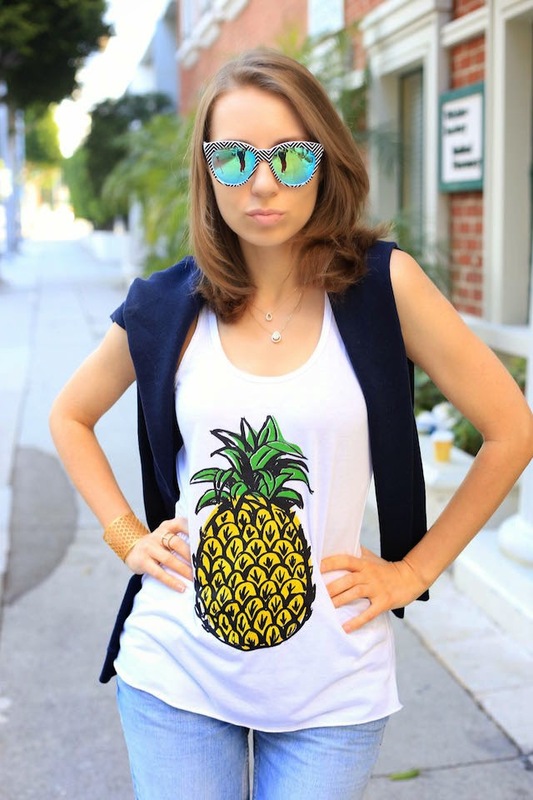 Tank: Ily Couture. Jeans: River Island. Sandals: Steve Madden. Super chic and fun outfit! Love your sunnies! Love the tank. Such a fun and casual look. 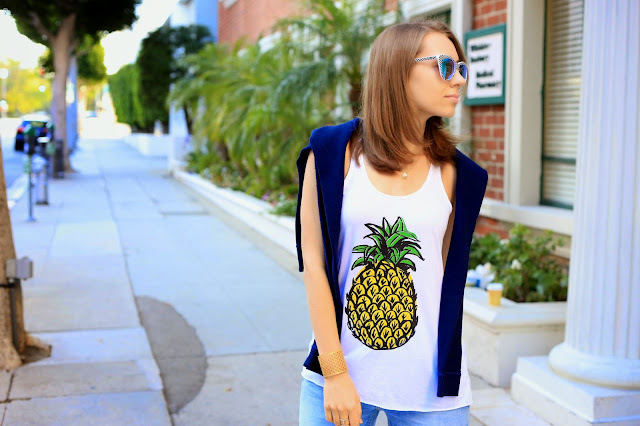 Really fun pineapple print top and it looks so chic matched with ripped jeans! Great casual chic style! Love the look Diana, nice gold cuff bracelet. Красивые фотографии! Этот стильный, летний образ, пропитанный теплом и солнцем! Современный, городской шик, удобный и актуальный для молодежи! 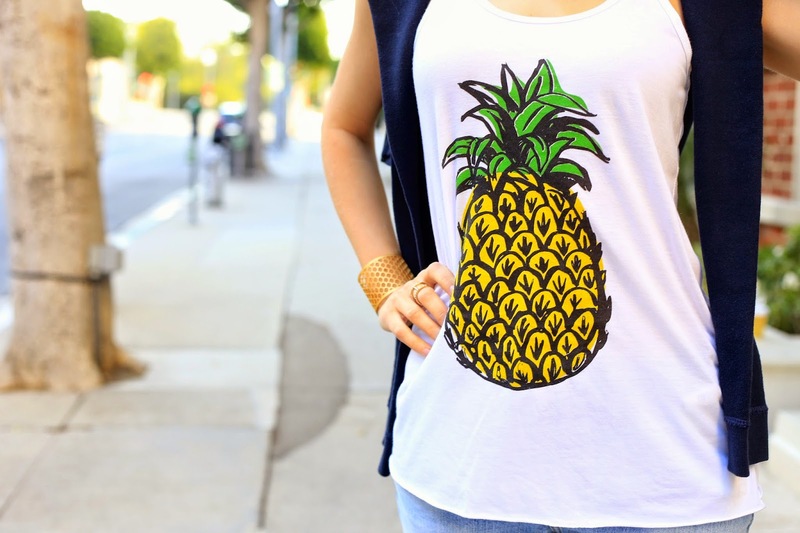 I have loved all things pineapple related lately. Your tank is beautiful and I love your jeans.